Louisville, Ky. – October 19, 2018 –Signature HealthCARE is marking National Physical Therapy Month by sharing the success stories of our patients forever grateful for the passion and perseverance of therapists. 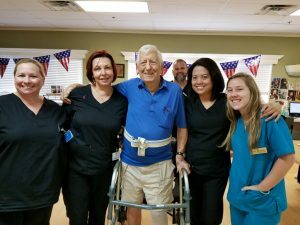 From occupational to speech to physical therapy and more, therapists at Signature strive to serve with excellence. They’re making an impact and patients are sharing their stories. This entry was posted in Uncategorized on October 17, 2018 by ccrenshaw.